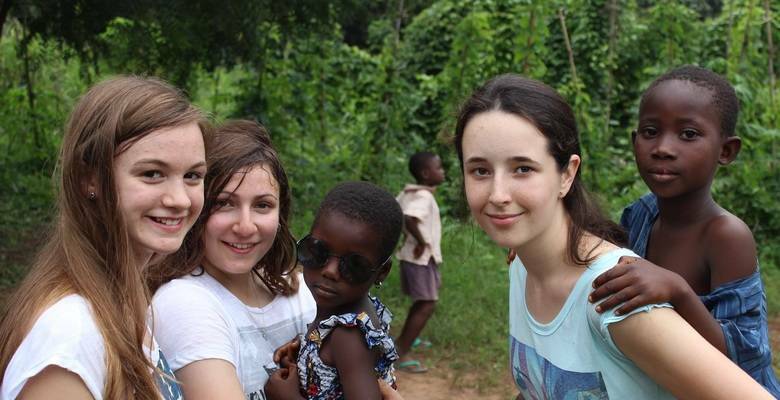 You may be aware that KGS has established a link with a school in Ghana. Sacred Heart is a school of 150 pupils aged 2-16, three hours north of Ghana’s capital, Accra, set amongst rural fields and lush rainforest. As part of our link with Sacred Heart, we have successfully launched a gap year programme for our Upper Sixth leavers. We would like to offer the same opportunity for four to six school leavers or alumni in September 2016 or January 2017 to spend three, five or nine months teaching English, Maths, Science or another specialist subject at the school. In addition, they would also offer another co-curricular interest such as sport, music, art, drama etc. – anything which would enrich the education of the Ghanaian children. The KGS students or alumni would be accommodated in comfortable quarters at the school and in all matters would effectively be adopted as part of the Headmaster’s family. Prior to arriving at the school, the students would spend an acclimatisation week in Accra, where they would also gain an insight into the best of Ghanaian culture. Students would be encouraged to make the most of their free time and weekends to travel or get involved in the local community, and after their stint at the school they would have the opportunity to see the best of Ghana and West Africa’s world class jungles, wildlife and beaches. All this would be offered at a considerably reduced price compared to that offered by other gap year operators. The students would also benefit from far greater training and support, both in country and from KGS. Alumni and current Upper Sixth formers planning gap years may also qualify for Travel Awards from KGS Friends. Please contact Mr Bond (nbond@kgs.org.uk) or the alumni officer, Katie Raymond (kraymond@kgs.org.uk) for details of how to apply. In terms of a gap year choice, it is hard to imagine a more worthwhile and exciting opportunity. I hope you will feel inspired to apply.